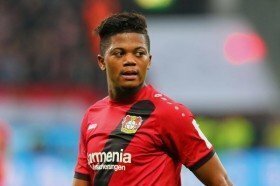 Bayer Leverkusen star Leon Bailey has revealed that he rejected the chance to move to Liverpool because he did not want to rush his career, according to a report from the Liverpool Echo. The Jamaican international moved to the Bundesliga club in January 2017 but he admitted that there was interest in him from various top European clubs, including Liverpool and Manchester United. Bailey has scored once in the Bundesliga this season in ten appearances for Leverkusen, who currently sit in 13th place in the table.